Desirable : Basic Computer Knowledge. 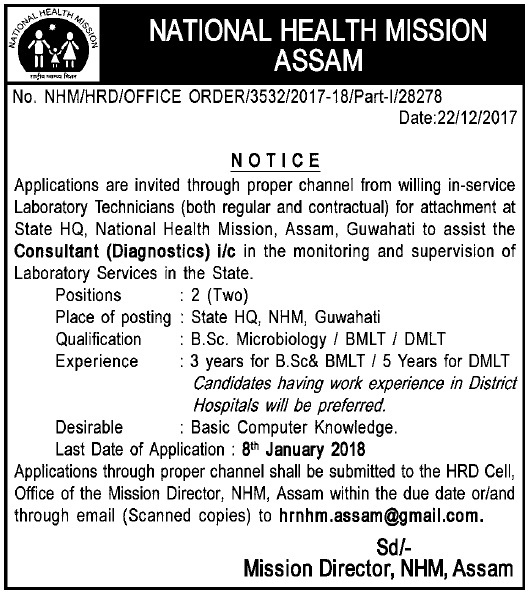 How to apply: Applications through proper channel shall be submitted to the HRD Cell, Office of the Mission Director, NHM, Assam within the due date or/and through email (Scanned copies) to hrnhm.assam@gmail.com. Last Date of Application : 8th January, 2018.